Colorama is an interactive, art exhibition near the center of Barcelona. It is located on the famous street, Passeig de Gràcia. 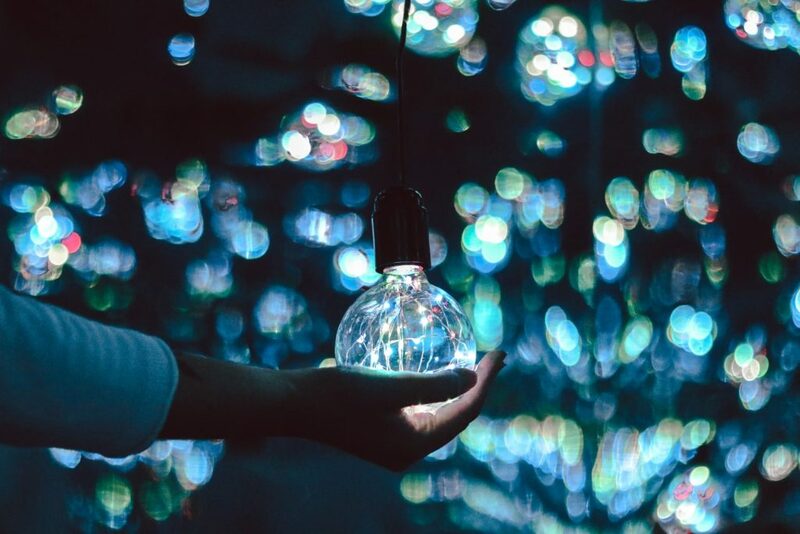 It is one of the first immersive art experiences that has ever opened in the city. The exhibition includes ten uniquely designed rooms where you can take fun and memorable photos as a special souvenir of your visit to the city. The organizers of Colorama collaborated with local Catalan artists and students from the Barcelona Art Academy to create the space. The temporary showcase will make your visit more special by seeing the work of emerging local artists. Each room has its own theme with creative details and special flair. 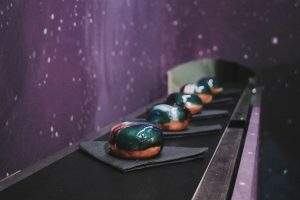 A few rooms to name are the “Galaxy Room,” “Cotton Candy Room,” and the “Ocean Ball Pit.” The “Galaxy Room” is painted like a night sky and serves tasty donuts on a conveyor belt. The donuts are designed with sweet, galaxy icing. 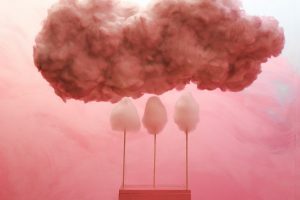 Secondly, the “Cotton Candy Room” with massive, pink cotton candy- like clouds hanging from the ceiling straight from a Katy Perry music video. 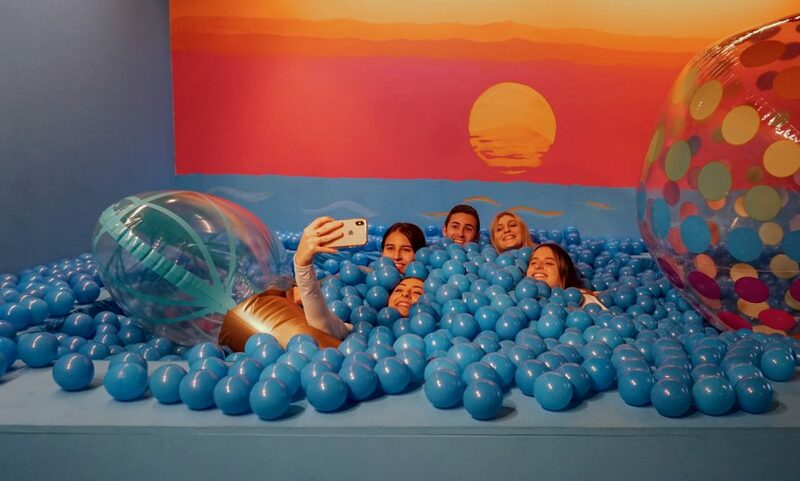 Thirdly, the “Ocean Ball Pit” invites you to take a dip with a tropical sunset as your background. The pit has over 14,000 blue, plastic balls to toss in the air for a motion photo for any Boomerang app users. 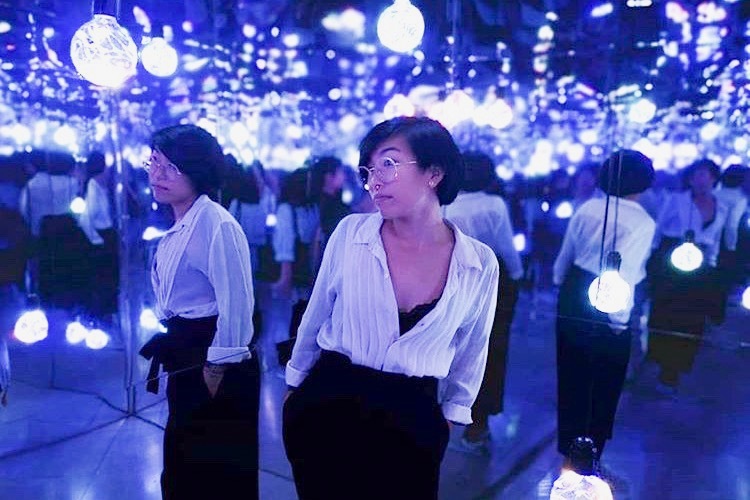 Lastly, you may find that the most picturesque is the “Infinity Room.” This room’s design and theme is popular throughout many international art museums, such as The Broad in Los Angeles, California and exhibition by teamLab Planets in Tokyo, Japan. It is like you are in a never-ending space of lights and standing among stars. Let’s just say you may have to warn your Instagram followers of all of your upcoming photo posts. The other six rooms will have to be checked out when you visit! Colorama is an ideal break from the traditional tourist attractions throughout Barcelona, since the city is famous for its thriving art community. The pop-up experience is currently available until December 31st with tickets at 15 euros and available for purchase online. There is also a special discount for groups of 10 or more. The address is Passeig de Gràcia, 114, near Diagonal metro. Colorama is closed on Mondays, but open Tuesday – Friday from 16:00 – 21:00 and extended hours on the weekend from 12:00 – 21:00. Enjoy and visit the immersive, art experience before it ends!